We have worked with a variety of vendors for various events. Family own and operated local business for 16 years, Secret Garden Florist offers only the finest floral designs and gifts with a prompt and friendly service. With 20 years of experience in wedding and event design, Shell's Petals Florist is more than your average flower shop; with its reliable service and great customer care, Shell's Petals Florist will work with your budget and taste to help make your event special and memorable. Over 25 years of amazing flowers at amazing prices, Roni found her passion in floral design after volunteering in a floral shop. After receiving her Ornamental Horticulture and Business degree, she owns her own flower shop and enjoys making custom designs to each client's vision. Your Image Floral design is a boutique style designing company that puts great emphasis on creativity, originality, and attention to detail. Founded by Lesley Bodwell and Rhonda Santora, Frost It Cakery specializes in gourmet and custom cakes, cupcakes, and other specialty desserts. Their storefront is by appointment only for consultations and tastings. Our award-winning cupcakes are perfect for birthday parties, weddings, or even an inspiring treat for your next business meeting. Our wedding cakes and cupcake towers make a dramatic display for your sweet occasion. Three-Time Champion of Food Network's Cupcake Wars and featured on Cooking Channel's Unique Sweets as a bread pudding favorite. In 1997, long time friends Dena Tripp and Debra Shwetz joined forces and fulfilled their life long dream of becoming entrepreneurs. Nothing Bundt Cakes combine great taste, nostalgic design and creative merchandising to appeal not only to the taste buds but to all five senses. Whether enjoying a bundt or bundtini, one thing is for certain - perfection is all they offer! The Sugar Lab specializes in custom cakes and mini desserts that look and taste great. Owners and mother-daughter duo Kelly Shirk and Alison Davis created the Sugar Lab in April 2012 by blending two passions: sweets and science. Crushedcakes offers a wide variety of cake flavors and sizes, including scratch made options of assorted desserts, such as french macaroons, brownies, cookies, whoopie pies, chocolate dipped strawberries, and more. Siblings Bakery desires to be a valid and reliable option when shopping for cake/bakery vendors, guaranteeing quality assistance and making each client the priority. They can create cakes according to your event. Award winning cake boutique, creating custom cakes for Ventura County, Santa Barbara County and Los Angeles County. "Don't just buy a piece of cake; buy a piece of art!" Amazing Days Events specializes in day-of wedding coordination and event management in Santa Barbara, California. We work with brides on a budget, do-it-yourself party throwers, corporate events, and nonprofit fundraisers. From timeline development to lighting the candles… we can bring peace of mind to your Big Day. Casi Cielo (meaning "Almost Heaven") strives to create a heavenly aspect to your wedding, through their high quality floral arrangements, party rentals, and full service wedding coordinating. Whether you’re planning a small intimate wedding or a grand celebration, All Occasions has everything you need to make it a night you will always remember. Cat Crenshaw, owner and head coordinator, has been a coordinator for many years in the Ventura County, Santa Barbara County, and Los Angeles County. She pledges to make each event and wedding surpass your expectations, as life is "vita bella". As a Malibu Event Planning & Design Team since 2005, Pamela LeGrand and Cyndi Katz have created celebrations of every nature from intimate affairs to lavish extravaganzas. By combining their backgrounds in floral decor & design, fine art, culinary technique, fashion design & production, music, photography & art management, they offer their expertise & wisdom to make sure your event unfolds smoothly from start to finish. Tricia Dahlgren is the owner and lead event coordinator of Tricia Dahlgren Events. She has been an event manager for 13 years and owned TDE for 7 years. She loves what she does and can't imagine doing anything else. Her team of highly experienced and professional coordinators want to make your special day memorable. Creating one of a kind moments you will remember for a lifetime. We specialize in wedding planning, day of coordination and change of life events. 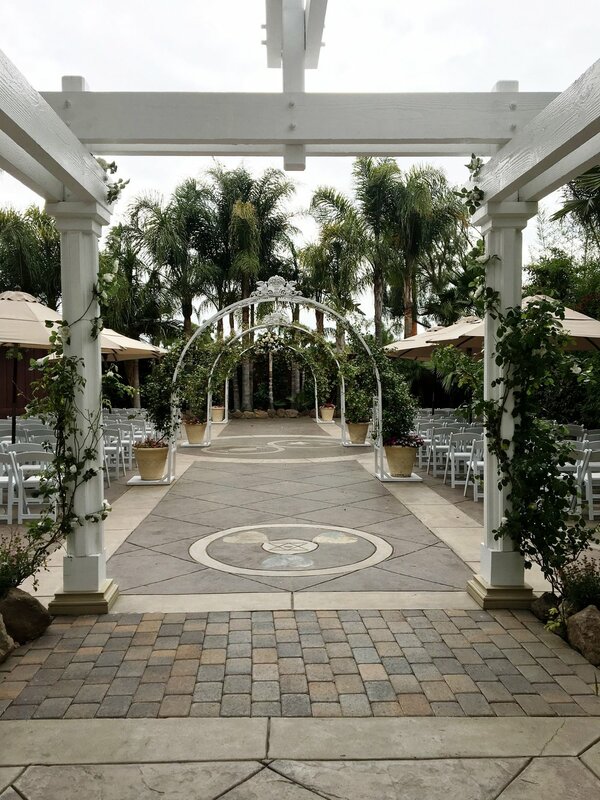 Whether you are planning your own wedding and just need a day of coordinator, or you need that extra guidance with finding the right vendors, assisting with your vision, Shelley at Simply Santa Barbara Events can assist you. Corporate/Private – From small intimate ceremonies to large extravagant receptions, the weddings we create are touching, beautiful and fun…your fantasy brought to reality! Pat Frey and her team are a full-service special event design and planning company. The company's goal and passion is to create those memorable moments and events through flawless organization, exacting design, and visual beauty, inviting any vision and challenge. Her personal service, attention to detail, knowledge and professionalism has lead to hundreds of couples & families trusting Weddings by Diana with their memorable events. Alex Neumann Photography provides Wedding Photography in California - Los Angeles County and surrounding areas. Kenny Backer is able to capture the essence of a moment. His creativity, skills in digital artistry and fun loving nature ensure that your day and your photographs are filled with the memories you desire. A professional photographer for over 17 years, Trinity shoots weddings, newborns and corporate events, and assists business owners with head shots and imagery to convey their brand messaging. Eric Roland is a versatile professional photographer whose work ranges from weddings to landscapes and architecture. Silva & Silva Photography provides Wedding Photography Ventura, Santa Barbara, Los Angeles and all of Central California. Gary Ransom has been an Disc Jockey, entertainer, actor, dancer, performer and master of ceremonies for over 10 years. He will provide entertainment for you and your event in Ventura, Santa Barbara, Malibu, and Los Angeles areas. He also provides other services such as a photo booth and lighting. Over the last 20 years, VOX DJs has professionally trained the most friendly and outgoing DJs and MCs in Southern California, helping to develop their own "DJ Persona." Their goal is to create the ambiance and vibe you want, making it the "Best. Event. Everrrrrr!" Coastal Entertainment Group of Santa Barbara provides event lighting & design (uplighting, string lighting, spot lights and monogram projection), PA speaker and microphone rentals (graduation ceremonies, wedding ceremonies, concert production, and sound engineering for live bands), slide show projector and screen rentals, and professional DJ service. 19 time winner Best Event DJ in Ventura County. 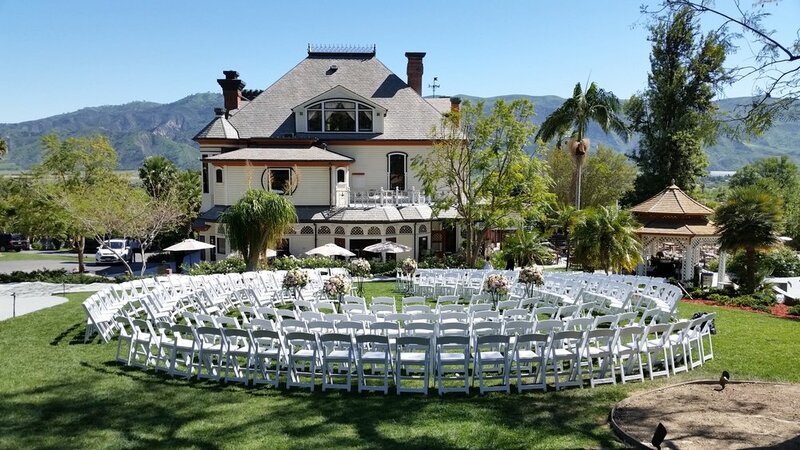 JAS Productions is a full service Wedding DJ in Santa Barbara, CA providing DJ Entertainment, Up-Lighting, and Coordination Services in Santa Barbara and the surrounding areas. While we specialize in Weddings, we also offer our DJ services for Corporate, Holiday Parties, Sweet 16’s, and more! Our DJ's are professionals with the experience to handle your Wedding Reception or Party. With a DJ from Amazing Sounds, you can't go wrong. Our ceremony and cocktail hour musicians will set the perfect atmosphere for your most important day. I take pride in making your event or party the best one you’ve ever had. I’m confident that once you’ve used my services you won’t think twice about recommending me to your friends or having me entertain again for your next function. let us help you take your wedding from average, to EXTRAORDINARY. Creating lifelong memories of your ceremony and reception. Are you an extra-ordinary couple looking for a wedding DJ? Don't settle for an average wedding DJ! Kyle Taylor DJ Productions is an industry-recognized complete DJ/EMCEE service entertaining all over Southern California. Eric is the DJ and Master of Ceremonies for the company Elegant Music. He is also a professional pianist and band leader. He will help plan the music for your event - whether it's pre-recorded or live. VeeRonna Ragone is a professional, friendly, and personable harpist who has done many different weddings and events for over 30 years. She can play a variety of styles, including but not limited to Classical, Latin, Flamenco, Blues, Jazz, and Pop. VeeRonna will help create the musical ambiance your event needs! ALOHA! Kauai's Native Son Brings the Islands to You! Specializing in Weddings and Entertainment for ALL Occasions! Raymond Michael and his tribute acts are known as being a great draw. He has performed in small-scale corporate shows as well as large scale cities, fairs, and festivals with as many as 15,000 people! Make your summer concert series the best yet! Bagpipes – "Nothing sparks emotions like a bagpiper in full Highland regalia." Bill Boetticher has been a professional piper for over 20 years in Santa Barbara, Ventura and Los Angeles counties. Guitar – Guitarist Jason Sulkin has been performing music for special events for more than 10 years and knows firsthand how the right music can enhance any occasion. Jason specializes in music for corporate events, wedding ceremonies and receptions, cocktail hours, rehearsal dinners, private parties, wine tastings, and any special occasion which can be enhanced by live music. The Windsong Quartet consists of four highly skilled musicians playing flute, violin, viola, and cello. We perform at weddings, parties, corporate functions, and other important events. Add an elegant, refined touch to your next special event with the Windsong Quartet. Vonette, a fourth generation Californian, is one of the more highly regarded and versatile harpists in the entire United States. She and her music have been featured on several radio stations including KCSB & KTYD in Santa Barbara. Her CD "Vonette's Holiday Harp Music" is a favorite of Radio DJ's around the country and Music Choice on television Cable and DISH during the holiday season. She has been seen and heard in many television programs including "Murphy Brown" and "The Parkers". Kimber Lee Wilkes fits everybody’s idea of the quintessential Minister. Warm and sensitive by nature, she sees the exchanging of vows as a deeply personal statement. All our limousines and party buses have fully stocked bars (when appropriate), flat screen TV's, DVD and CD players, iPod connections with fully integrated sound system, fiber optic lighting, neon, strobe lighting and Karaoke (in some party buses), there is nothing we haven't thought of in the interior design of our limousines and party buses. Roadrunner provides safe, reliable and Door-to-Door ground transportation solutions to and from your home, hotel or office. Since 1991, Roadrunner provides transportation services 24 X 7 at LAX, BUR and SBA airports and in Los Angeles, Ventura and Santa Barbara County. Event Lighting is our Specialty. Wendee’s Occasions is a team of professionals with twelve years of experience in event lighting. We pride ourselves in providing the highest quality entertainment service in Southern California. We create and execute professional events that reflect our clients unique style and personality. When it's your big day; be it your wedding, a fund raising gala, or a corporate celebration, we have the ideal lighting to fit your needs. We can help you to create the perfect ambiance for your festivities and make an impact on your guests that will leave them talking about your event long after it has ended. Our exceptional reputation is derived from our dedication to your event, our attention to fine detail and our desire to always provide more than promised. Ideal lighting and Sound is a full service, family owned company, providing temporary installation of decorative and functional lighting, audio, drapery and video systems for special events such as weddings, bat mitzvahs, galas, anniversary parties and social and corporate events. Whether it's a formal sit down dinner, casual home entertaining, an hors d' oeuvre & dessert soiree, a food & wine event, custom weekly meal service or an in-home cooking class, you can be sure your event will receive the attention it deserves and that your dining experience will exceed your expectations. We strive for perfection in both cuisine and service. The Cappuccino Connection, established in 1989, is the West Coast’s premier espresso beverage catering company serving such prestigious clients as the Emmys, Golden Globes and the Academy Awards. Enchanted Carriages is a quality horse drawn carriage company that specializes in events and celebrations of all types, including Weddings, Quinceaneras, Holiday Events, Parties, Anniversaries, etc. We serve all of Southern California. All sculptures are custom. If you desire us to make a sculpture that is not shown on this website, just give us a call or submit a simple sketch to us and our sculptress will create a one-of-a-kind sculpture for your special event. Security – Protection Services will provide you with certified, licensed, insured, and bonded security guards. D.A.D. Protection Services is a proactive security company in Southern California that is committed to providing a comprehensive list of security services that meets every unique security need. A photo booth rental is now a MUST for any great party. We have several to choose from for your wedding or event. We will deliver the photo booth to any area of Ventura, Santa Barbara or Los Angeles Counties. Santa Barbara's premier valet parking and guest service provider (can also travel to Ventura County). Travis and his team are defined by their community reputation, relationships, and consistent presence to meet client needs. At Premiere Valet Parking we provide the highest standard of valet parking and valet parking management services. If you are looking for a Los Angeles valet parking service, Orange County valet parking service, Ventura County valet parking service we are ready to meet your valet parking attendant needs. Bring the kids. Relax and enjoy! Now guests and hosts can relax at special occasions with all the children professionally cared for - right on site! Enjoy your wedding reception, party, or corporate gathering. Children get their own, expertly supervised, fun domain at your next function - and what to do with all the kids is solved! Black Sand Coffee Company is a locally owned Gourmet Espresso Coffee and Cocoa Bar Catering company, serving Ventura and Santa Barbara Counties with our Mobile Espresso Coffee & Cocoa Bar. TUPUA is family-owned and operated Hawaiian/Polynesian Entertainment Company that has gained immense customer confidence and a good reputation over the years. For over 10 years, we have provided Polynesian entertainment through a committed approach, time-honored technique, and a caring attitude. Our commitment is to you. Trust our professional staff and quality of services to take care of your event & to experience an unforgettable celebration. Contact us now for any upcoming Hawaiian/Polynesian Entertainment needs. The success of your event is measured in many ways. The quality of your restroom and shower facilities are key. At Major Event Trailers our mobile restroom and shower trailers are a welcome amenity at all occasions and events which include Wedding Receptions, VIP and Corporate Events, Sporting Events and On Site Movie Productions. Aces & Eights Casino Nights has over 15 years of experience providing quality casino theme parties to Southern California including Ventura County, Los Angeles, Orange County, Santa Barbara, and San Bernardino County areas!